Map maker : JABLONSKY, C.G.. Date : Berlin, J. Pauli, 1785-1806. Size : 6.7 x 8.5 inches. / 17.0 x 21.5 cm. Description :Plate CLIX from Carl Gustav Jablonsky and J.F.W. 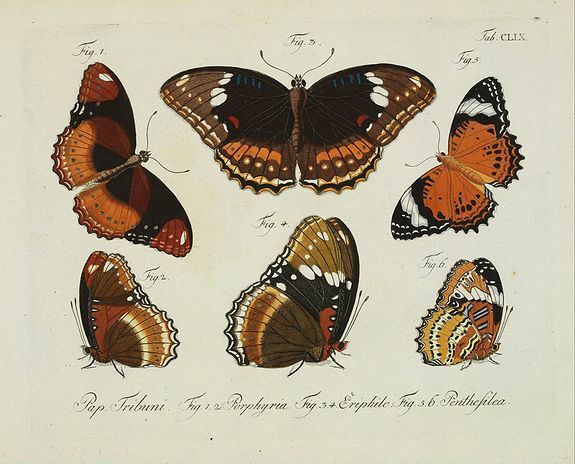 Herbst: "Natursystem aller bekannten in- und ausländischen Insecten", engraved by Bodenehr. Carl Gustav Jablonsky was private secretary to the Queen of Prussia. After Jablonsky's untimely death Herbst edited the work from volume 2 on. A great number of the plates were drawn by Jablonsky. The work should be considered a first attempt to a total survey of the coleoptera. A sequel was published to the above work dealing with butterflies.